Biological motor control is capable of learning complex movements containing contact transitions and unknown force requirements while adapting the impedance of the system. 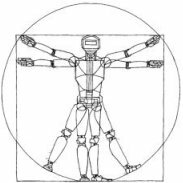 In this work, we seek to achieve robotic mimicry of this compliance, employing stiffness only when it is necessary for task completion. We use path integral reinforcement learning which has been successfully applied on torque-driven systems to learn episodic tasks without using explicit models. Applying this method to tendon-driven systems is challenging because of the increase in dimensionality, the intrinsic nonlinearities of such systems, and the increased effect of external dynamics on the lighter tendon-driven end effectors. We demonstrate the simultaneous learning of feedback gains and desired tendon trajectories in a dynamically complex sliding-switch task with a tendon-driven robotic hand. The learned controls look noisy but nonetheless result in smooth and expert task performance. We show discovery of dynamic strategies not explored in a demonstration, and that the learned strategy is useful for understanding difficult-to-model plant characteristics.